A stunning, two story wall of windows highlights this modern cabin home design, bringing the outdoors in. The ideal vacation home, the great room, dining room, and kitchen blend together for relaxed entertaining. 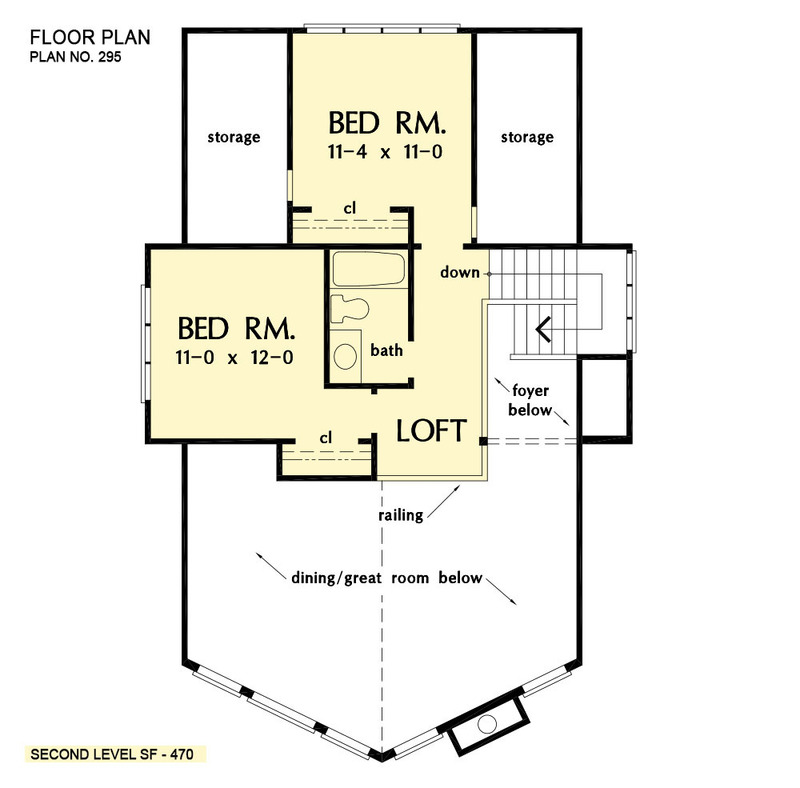 An open loft upstairs leads to two bedrooms with large windows, a bathroom, and abundant storage space. 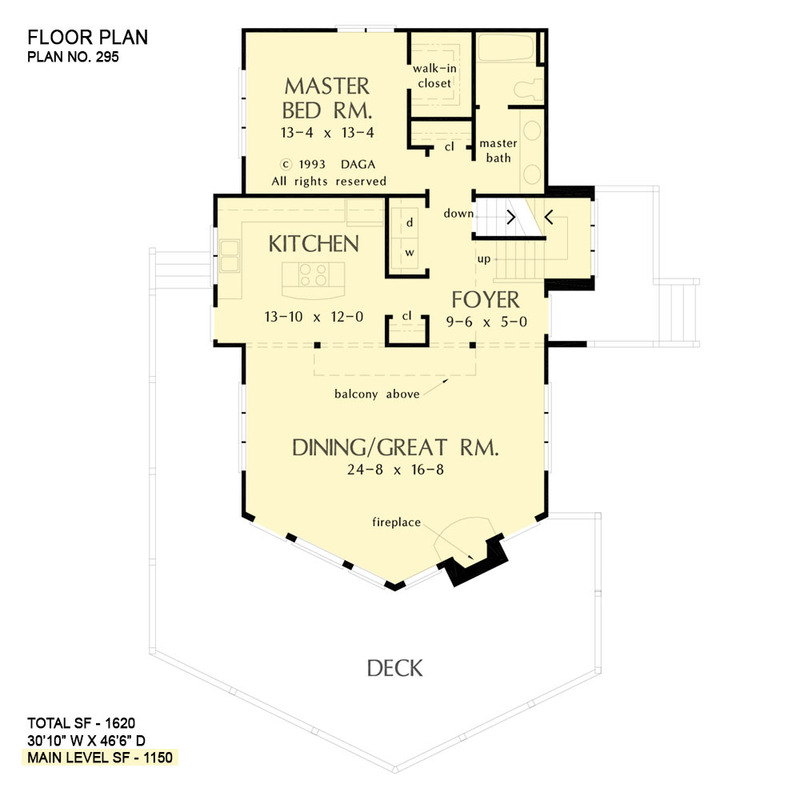 1st Floor: 1150 Sq. 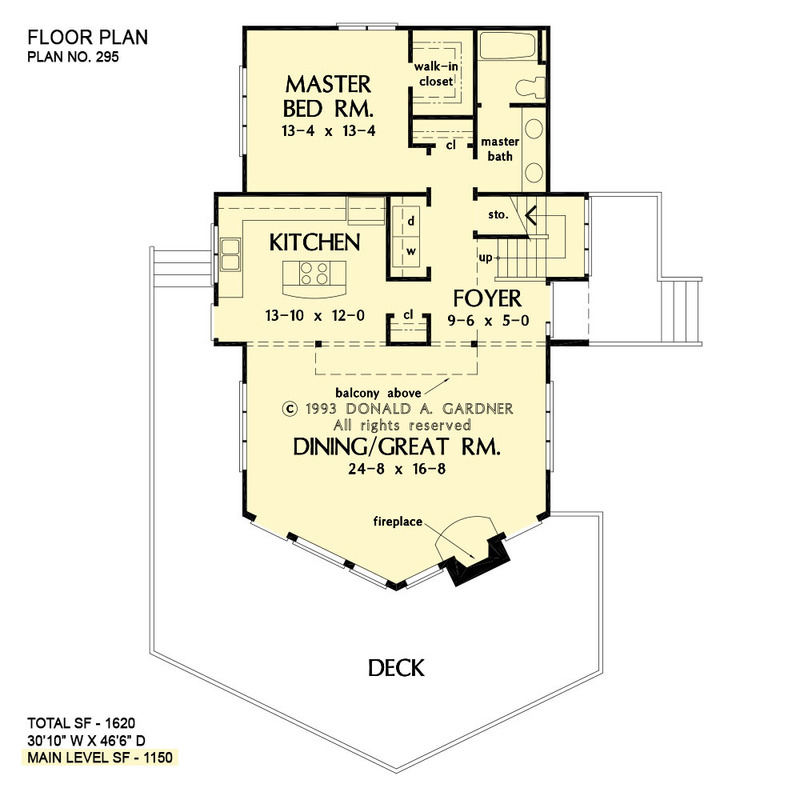 Ft.
House Dimensions: 30' 10" x 46' 6"
Great Room: 24' 8" x 16' 8"
Master Bedroom: 13' 4" x 13' 4"
Foyer : 9' 6" x 5' 0" x 8' 0"
Great Room : 24' 8" x 16' 8" x 8' 0"
Kitchen : 13' 10" x 12' 0" x 8' 0"
Utility Room : 2' 10" x 6' 8" x 8' 0"
Master Bedroom : 13' 4" x 13' 4" x 8' 0"
Porch - Right : 6' 0" x 12' 8" x 0' 0"
Deck / Patio : 37' 4" x 15' 0" x 0' 0"
Loft / Study : 7' 1" x 14' 8" x 8' 0"
Balcony : 4' 9" x 14' 8" x 8' 0"
Storage (1st Fl.) : 8' 10" x 3' 2" x 0' 0"